We are committed to customer satisfaction. Browse our Gallery to see more of the work we do. 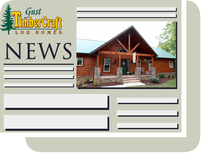 Stay up to date on all the latest news from TimberCraft. 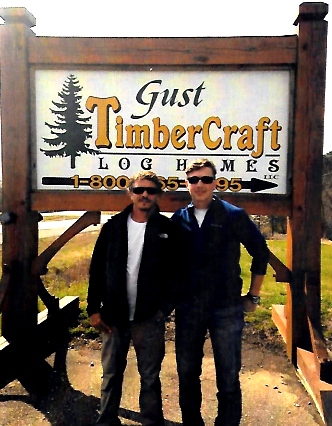 Our family business has been constructing Timber Structures since 1970 and is run today by myself, and my son, Brycen. Our timberwrights speak with passion and pride, about the structures we've built over the last 46 years. We have worked hard to perfect the mix between old fashion craftsmanship and modern day technology, giving a handcrafted touch on a modern structure. we are 'timberwrights'...our work is one of love, responsibility and honor. It is a deeply rewarding passion and every timber we cut is a part of us our own work of art that sculpts who we are. Gust TimberCraft Log Homes LLC. Gust TimberCraft sells and erects their packages worldwide with a quality and price that can't be matched.